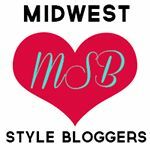 Kyle's older brother is getting married in October so I've been having a ton of fun being involved in some of the special planning for their wedding (see my bridesmaid dress hunting fun here)! Last weekend I co-hosted a bridal shower for his future sister-in-law, Ann, with his mom. 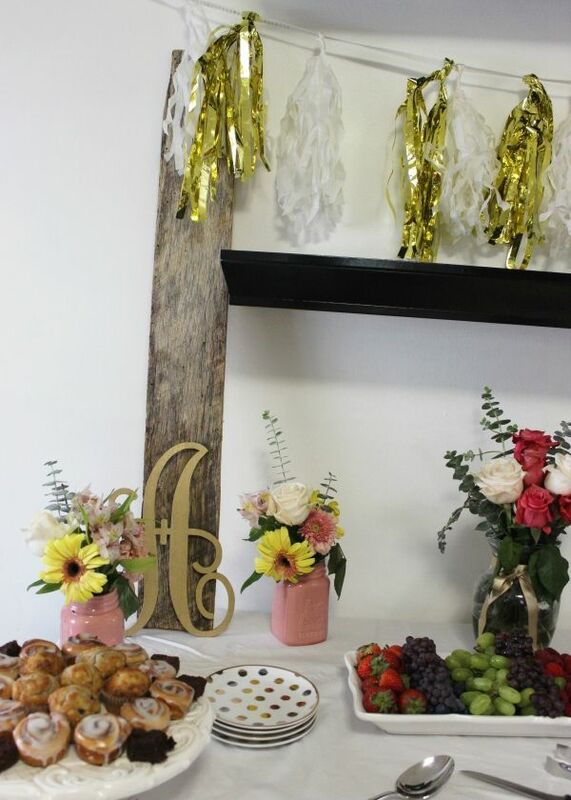 We decided to throw a farmhouse chic bridal shower brunch - keeping with the rustic theme since they'll be getting married in the barn. His mom handled all of the delicious eats (since she's basically Martha in the kitchen) & I handled the décor & mimosas. 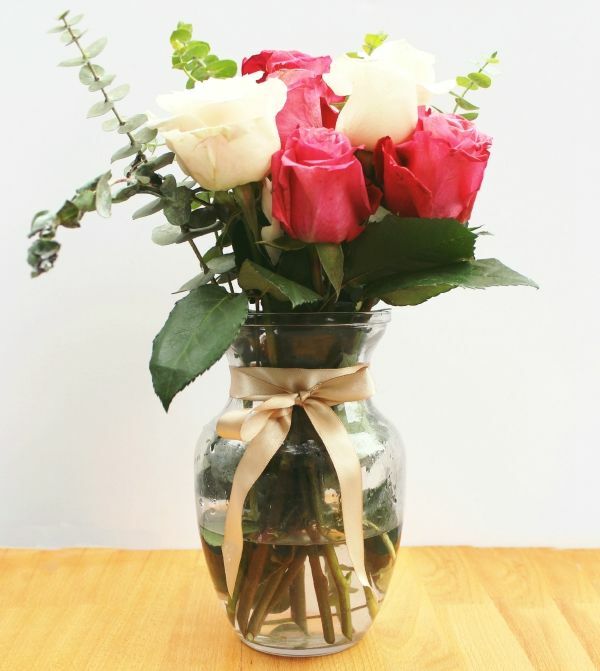 I even DIY'd some mason jar floral arrangements using a few different florals I scored at Trader Joe's. 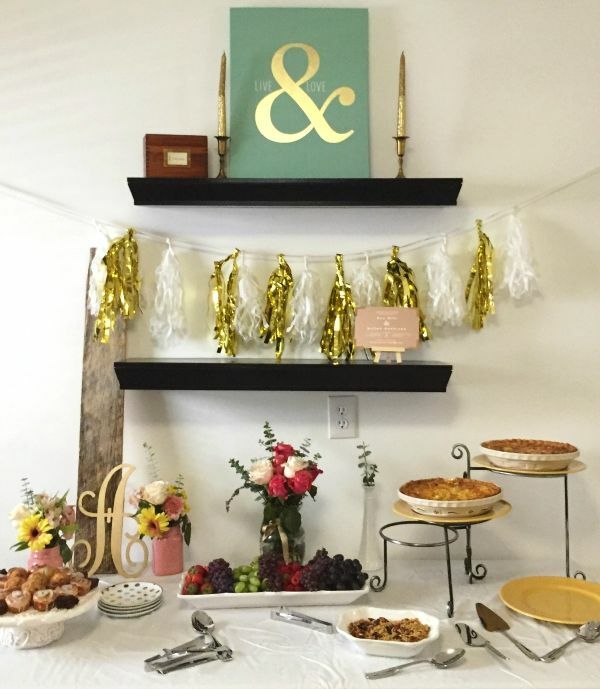 I just wanted to share a few snapshots on this simple but sweet bridal shower. 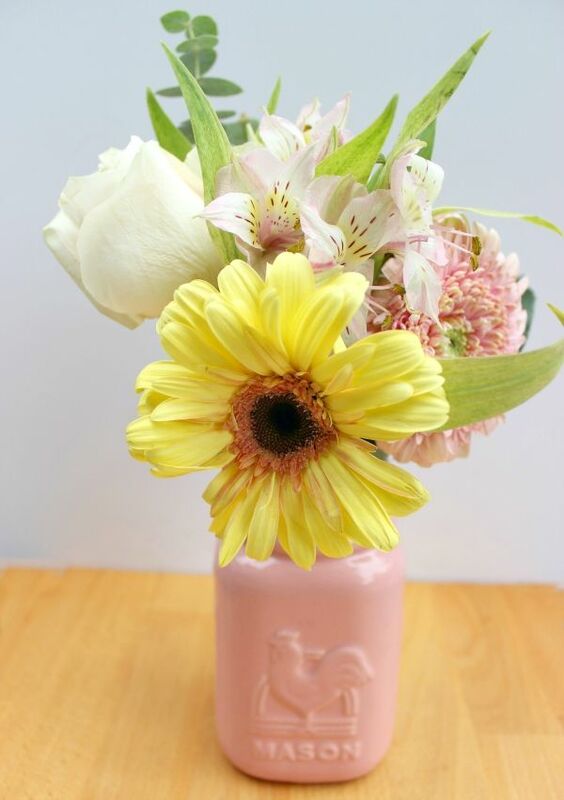 The table, filled with mason jar bouquets, a cake plate full of sweets & reclaimed barn board statement piece. 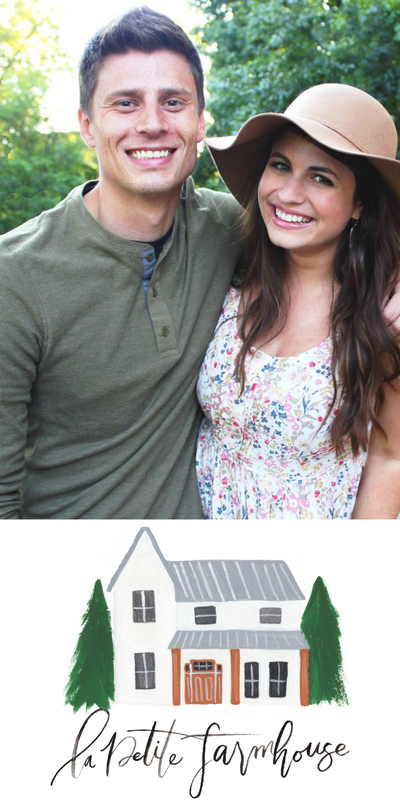 So happy with how these turned out! So colorful & happy. A few of the décor pieces- that monogram A was a $2 score at Joann's! 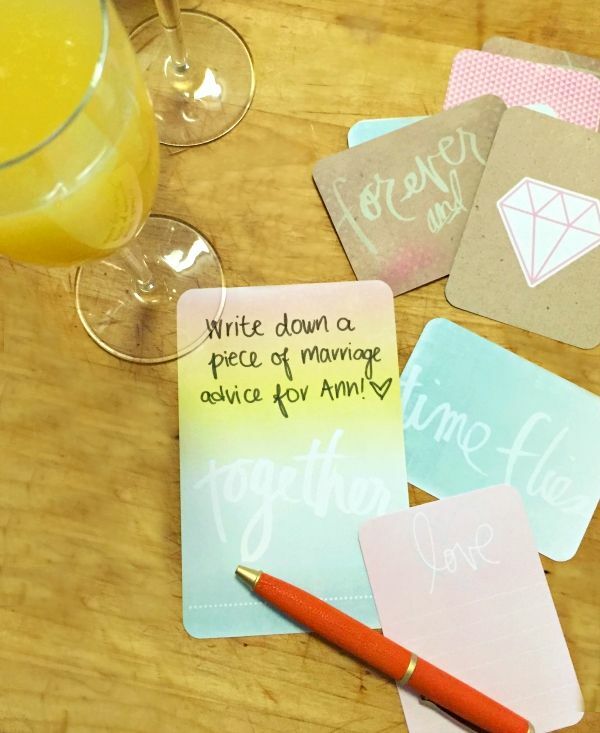 Guests shared their wedding advice for Ann on these sweet cards (from a Project Life set). I "borrowed" a canvas art piece from our room to tie into the love & marriage theme & repurposed a tissue paper tassel garland from a recent bachelorette party I hosted. Our menu was simple but delicious - two quiches (vegetarian & bacon/cheese), mini muffins and cinnamon rolls, greek yogurt, fruit & granola. Then some refreshing mimosas, coffee & lemonade. We played a couple of games ("how well does the groom know you") & socialized. 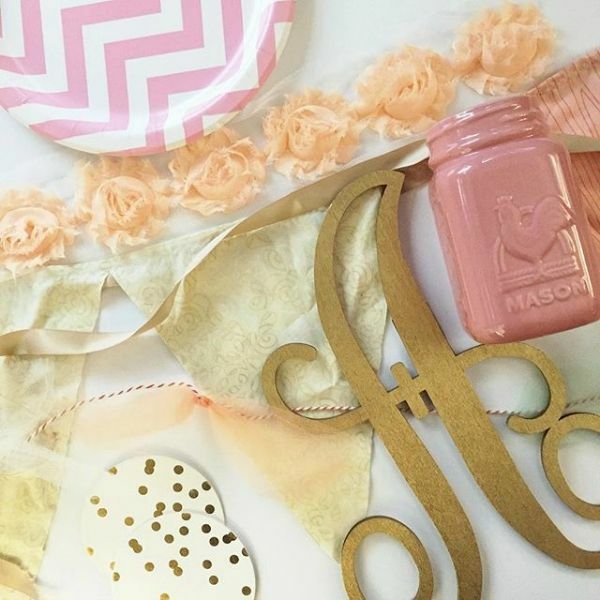 I've hosted a few different bridal showers & bachelorette parties over the past few years. I've learned that investing in a few major décor pieces that can be repurposed for different events is key. I always keep an eye out at thrift stores, Michael's & Jo-Ann's for versatile pieces like cake stands, serving plates, faux florals and table coverings. I love celebrating love & had so much fun pulling this sweet shower together!